As with many diseases, minorities and other underserved populations suffer most. Nationally, new cases of cervical cancer are 65 percent higher among Latinas and 45 percent higher among African Americans than among white women (except those in Appalachia and some other rural areas). But mortality is markedly higher for African Americans. "At Winship, we use fundamental science to get at the root causes of cancer, including cancer disparities. 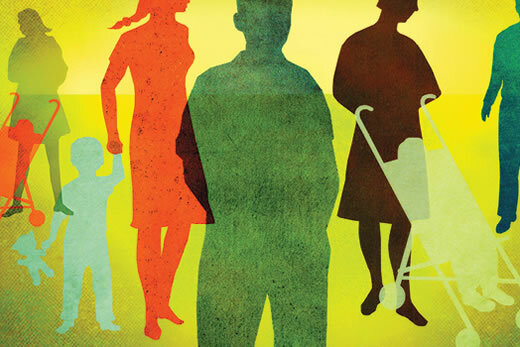 We then go to the next step, looking at disparities in why some groups get less or later care," says Walter J. Curran, Jr., executive director of Winship Cancer Institute. "Our faculty are dedicated to reducing the burden of cancer for all Georgians, and our work exploring the cause of disparities in patient outcomes will improve the lives of all cancer survivors." Winship clinicians working with patients from different populations and Winship researchers working with population-based studies in cancer prevention and control are finding that race and ethnicity have less to do with disparities in health care than do economics and knowledge gaps or misconceptions. Change those, they say, and you can do a lot to erase some of the worst disparities. Lisa Flowers says no one should die from cervical cancer, one of the most preventable and curable of cancers. But women do – especially African Americans. Take, for example, cervical cancer, where disparities in incidence and outcome abound, nationwide and among the patients seen by Winship gynecologist Lisa Flowers, who is based at Grady. Those disparities are all the more troubling, says Flowers, because cervical cancer is completely preventable and is highly curable when detected early. Higher rates of new cases for Latinas occur in part, says Flowers, because many Latinas are newcomers to the U.S. and are less likely to have had access to screening. 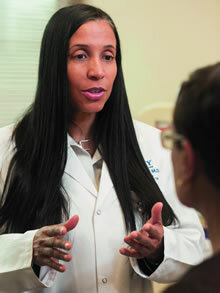 African Americans are screened at a higher rate, surpassing both Latinas and white women. They more often die, she says, in large part due to less follow-up after abnormal test results. Follow-up care can be challenging. A woman has to find a doctor and pay for colposcopy (examination of the cervix) to see if the abnormal cells found by a Pap test (the standard screening for cervical cancer) are pre-cancerous. She can receive aid from the state for treatment only if she has a diagnosis of high grade precancerous cells or cancer. If, that is, she is a legal resident or citizen of the U.S. If Latinas can surmount problems such as money, transportation, and citizenship, they usually take the next step, says Flowers. For some, however, and for many low-income African Americans she sees at Grady, myths create another barrier to screening or follow-up. Myths like I don't need screening because women who get cervical cancer are promiscuous and I'm not. Most people unknowingly have the sexually-transmitted human papilloma virus (HPV) at some time in life, but in most cases it goes away on its own without leading to cervical cancer. I once had a test so I know I'm not at risk. No, half of patients have not had a Pap test in the past three years, as is recommended. Abnormal results? Then why bother, I'm doomed. Most abnormal Pap tests turn out not to be cancer, but they paralyze some women with fear. They refuse to think about follow-up or leave it in God's hands. Director of Colposcopy at Emory's School of Medicine, Flowers has written extensively about the impact of these myths – and how to combat them with education and community outreach. Bilingual, daughter of a Cuban-born mother and African-American father, she is founder and medical director of the non-profit Spirit Foundation that focuses on preventing cervical cancer in medically underserved women in the U.S. and Spanish speaking countries. She's extremely active in Con Amor Aprendemos (with love we learn), a program to provide Hispanic/Latino couples information about cervical cancer prevention, and has helped adapt the program for African Americans, working with metro churches to present it. "The bottom line," says Curran, "is that biology and socioeconomic issues can be intertwined in the development of cancers and the delivery of appropriate healthcare. Our Winship faculty are committed to confronting both issues, to the benefit of our patients." Patient Veronica Reynolds would agree. She says, "My life is a walking testament to what these researchers are doing. Thanks to them, to Dr. Bernal-Mizrachi and my other doctors, I can say I'm here, I'm standing. I'll never give up while they are pushing so hard to help."